Vanilla is just classic: Ice cream, crème brulee, whipped cream. 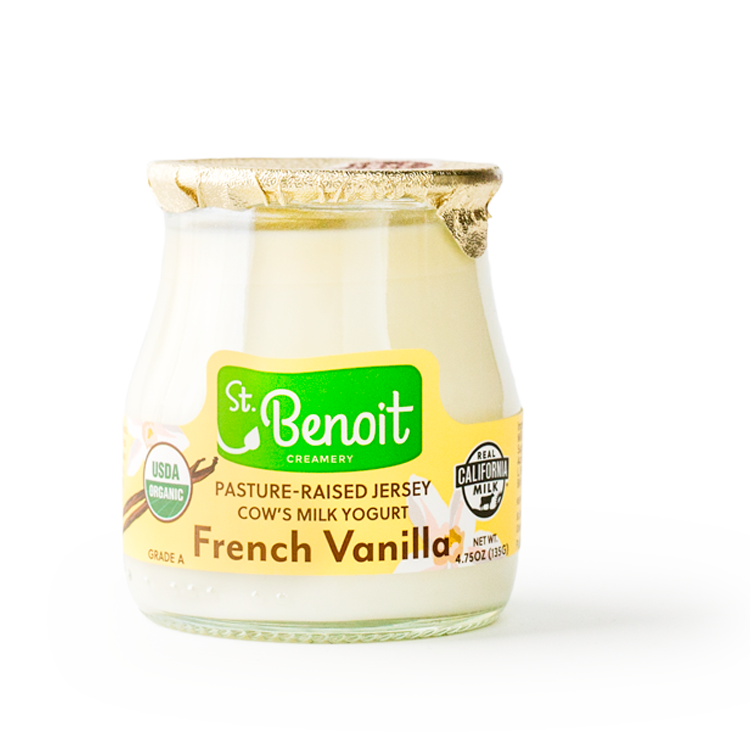 Why not a decadent full-fat yogurt like ours? Don’t feel too guilty about enjoying it – it’s not just a delicious treat, but it’s actually a real food snack perfect for any time of day. Even dessert. Some of our favorite pairings to turn this snack into a treat: Chopped dark chocolate, organic maple syrup, fresh raspberries (or all of the above).